OMG - have you seen this video about the basset hounds? Watch til the end....and count the dogs. Mom was volunteering at the shelter last night, and there was an invasion of Girl Scouts. They had brought in some donations and took a tour of the shelter and ended up playing with the cats. 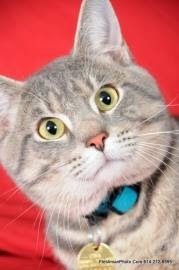 Lincoln is a 1 year old male gray tabby. He was out and running around. The girls got out a wand toy and he had a blast running back and forth. 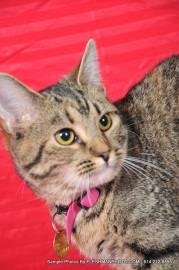 Margaret is a 9 month old female brown tabby. She and her brother were transferred in from a rural shelter a couple of weeks ago. She didn't mind the petting, but there were a few too many people for her and after a while she took shelter under a bench. 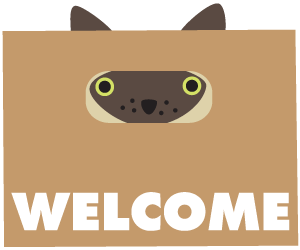 We have introduced you to Junior before. He had a blast playing with the girls, though less energetically than Lincoln. Mom decided to show the girls a trick and got Junior over to the sink and turned on the faucet. The girls thought it was hilarious that he drinks from the faucet. And bless the boy for behaving - mom caught one of the girls gathering water in her hands and baptising the poor boy. He took it all in stride and was passed out when mom left the shelter. But the biggest surprise last night was Antony. 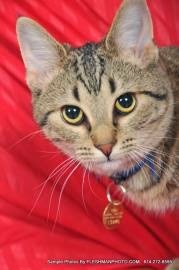 He is a 9 month old brown tabby - Margaret's brother. He was sprawled out on a bench when the girls came in. They immediately came over and were loving on him and got out toys....and he LOVED it!!! He spent the entire visit hanging out letting them pet him and whacking at the wand toys as they went by. 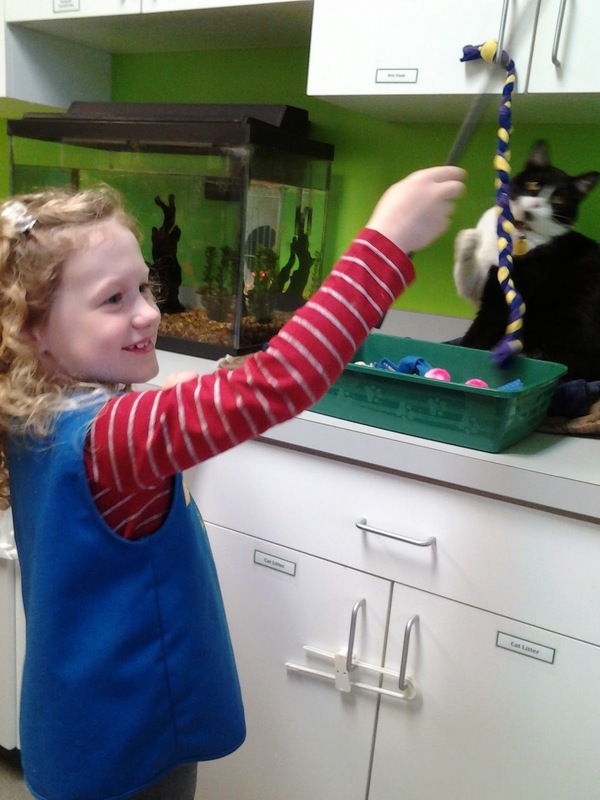 Thanks for the donations girls and stopping to play with the kitties! Kittens and cats love kids. One of my feral cats, when he was a kitten would barely let me touch him, and he let this child that was visiting carrying him all over the place. Guess kids are intimidating like big adults. 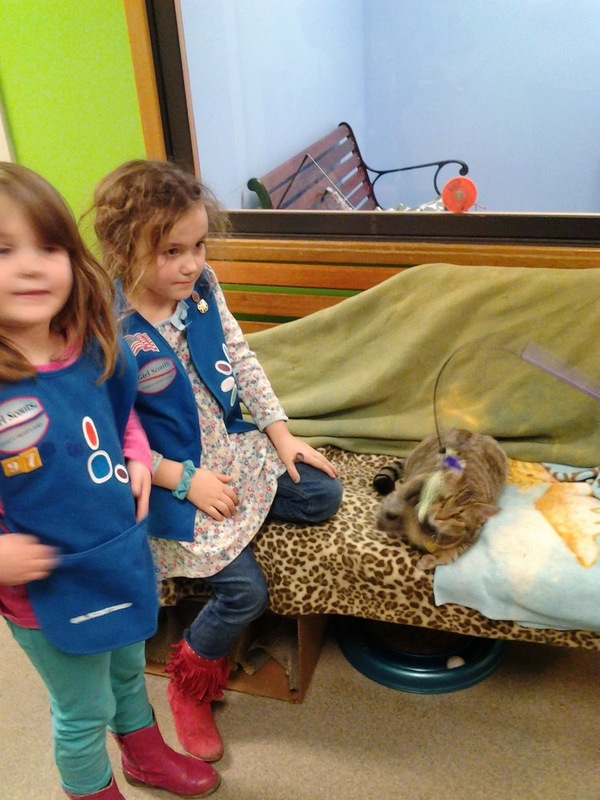 That is great that all the cats had a good day with those girl scouts. Take care. Those kids with cats is really cute and awesome! Hope you get some kittens soon. They are holding our house for a litter of six or more (which I know is coming) but they are starting to come in at the shelter and I can't wait! OMC, that Girl Scout visit was awesome! For several reasons, not the least of which is being able to tell how these kitties interact with children - more good info to pass along to adopters! I know you'll have some adoptions! The past two weeks were slow for us (Alley Cats and Angels) as well. Paws crossed you have some great adoptions oon. I guess it's a good thing that there are no kittens, but we sure love watching them! Sweet that the little girls were so good with the kitties, aside from the baptism.. Maybe they'll be good cat owners some day. And maybe they'll drag their parents in to get a kitty soon, fingers crossed! We sure hope there are some adoptions soon! That Bassett video is a RIOT! Glad the girls got to enjoy the kitties - praying for adoptions coming up soon. 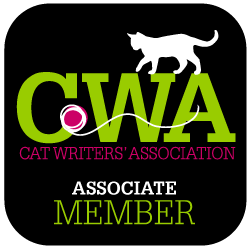 I am so glad the kitties and girls got to interact with one another. A win win.